What courses do I need to renew my Arizona pesticide applicator license? Arizona applicators and qualified applicators are required to complete 6 hours of continuing education, one of the six hours must pertain to each category/categories of certification, the remaining hours are elective. Certified Training Institute offers elective courses to meet core requirements. Courses are completed online at your convenience. Certified Training Institute will submit course completion documentation to Arizona the next business day after you complete your course. Applicators must complete their continuing education by May 1st every year. You must complete 6 credit hours of continuing education, one of these 6 hours must pertain to each category you are certified in. Once your continuing education is finished you need to complete the Arizona Department of Agriculture Pest Management Division renewal process online. 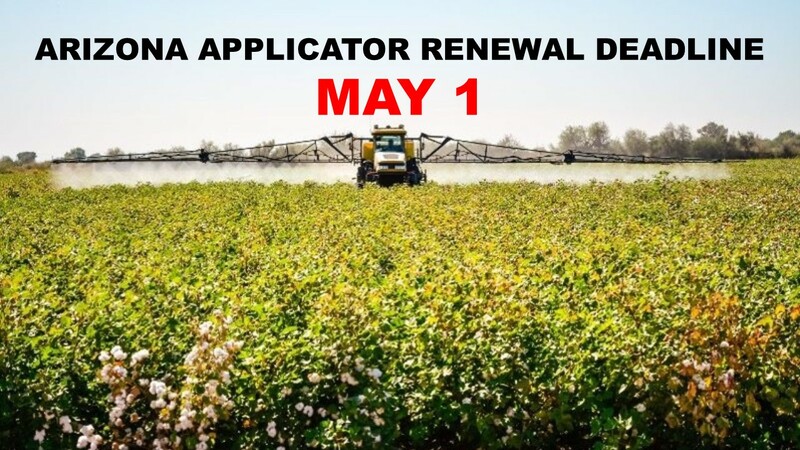 Applicators must pay $75 and qualified applicators must pay $100 to renew their license for one year. Continuing education must be completed by May 1st and the renewal process must be completed by May 31st. Late renewals will incur a late fee in addition to their renewal fee. This entry was posted in Pesticide and tagged Arizona pesticide, Arizona Renewal.